North Eastern Community Hospital (NECH) is a community owned, not-for-profit private hospital and nursing home facility. The hospital offers services in General Surgery, Medical, Obstetrics, Orthopaedics, Laparoscopic Surgery, Gynaecology, Gastroenterology, Dental and Residential Aged Care. 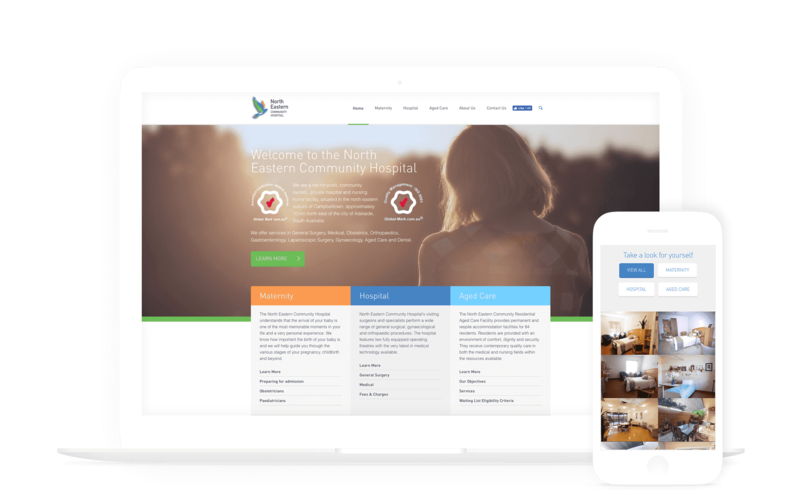 The Digital Embassy was tasked with delivering a fresh design to an outdated website, along with responsiveness adaption and new functionality including eCommerce payments, galleries and landing pages to assist with SEO traffic and attracting new visitors.The NECH website features three dedicated landing pages for the key services available at the NECH complex: Maternity, Hospital and Aged Care. Each landing page provides a high level run down of the services available and directs users via links to the individual services pages. 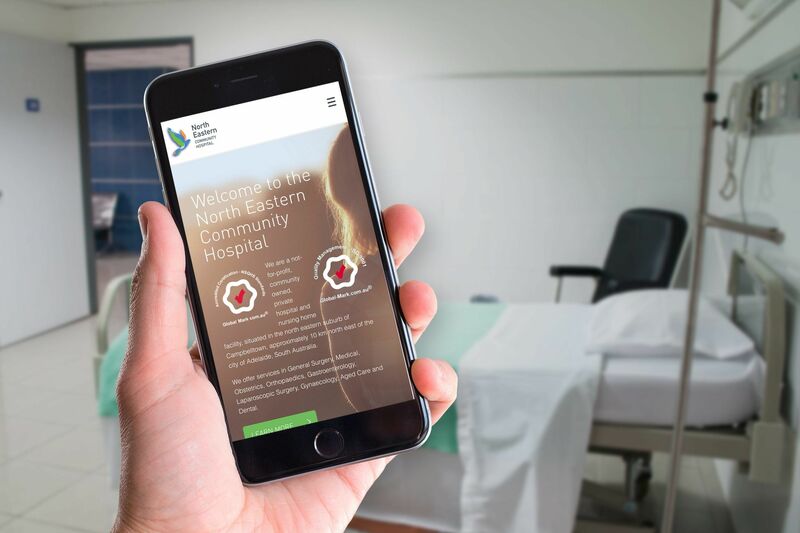 The landing pages enable visitors to quickly navigate to the information they seek; parents-to-be can navigate directly to Maternity Services while the elderly and their families can easily find information on the Aged care facilities. The dedicated landing pages allow the NECH to run dedicated marketing campaigns. 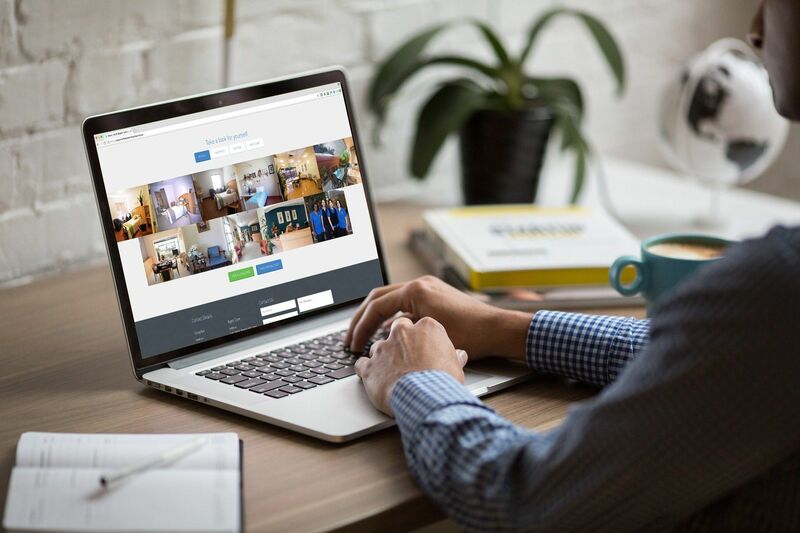 The NECH virtual tour allows prospective patients to tour parts of the hospital by tapping on a thumbnail which launches a popup where the user can play the video or rotate the 360 degree tour. Visitors can easily pay their invoice or make a donation to the hospital via the eCommerce facility. The online payment system meets the needs of ‘online savvy’ users and reduces the number of over-the phone payments made via Reception. The fully responsive website was developed on the WordPress CMS, delivering a design that is consistent with NECH’s existing styling and branding. 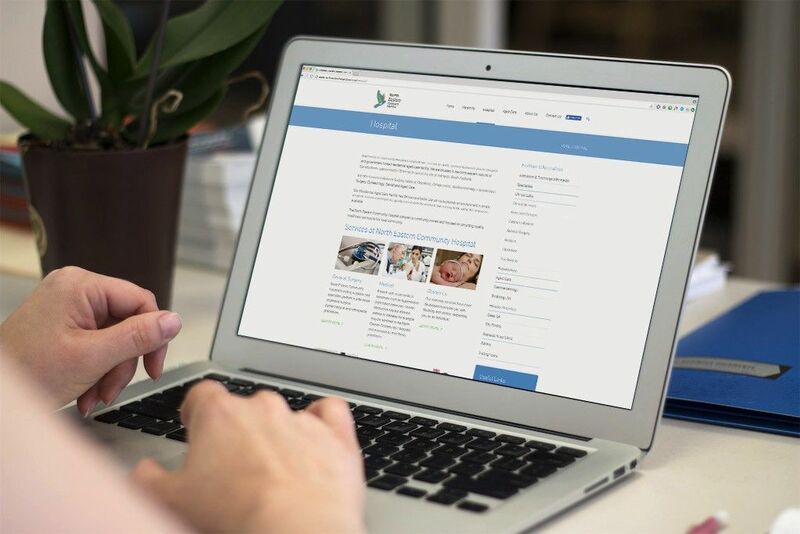 The content supplied was audited and optimised for online users to ensure they are accessing the most accurate and relevant information about the hospital and its services. Best practice SEO techniques were utilised to increase visibility across search engines and the Latest News page and the CEO Blog assist with content marketing.